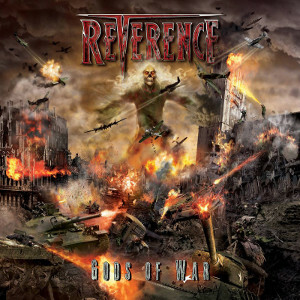 US Power Metal act REVERENCE will release their sophomore album “Gods Of War” will be released in Asia including Japan through Marquee/Avalon on October 21st, 2015 and in the rest of the world (USA and Europe) through Razar Ice Records on November 4th, 2015. 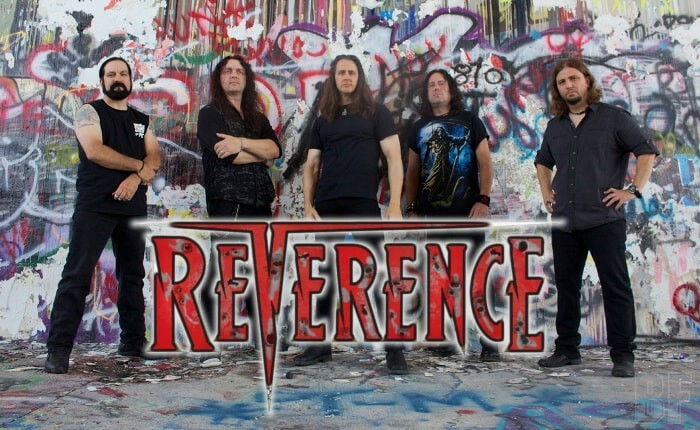 REVERENCE was co-founding in 2010 by guitarist/songwriter Bryan Holland (Tokyo Blade, Arrest) and vocalist/songwriter Todd Michael Hall (Riot V, Jack Starr's Burning Starr). After that, Bryan's longtime friend; drummer Steve 'Doc Killdrums' Wacholz (Savatage, Crimson Glory), guitar shredder Pete Rossi (Sanxion, Overland) and bassist Michael Massie (Overloaded) joined the band. The band released their highly acclaimed debut album “When Darkness Calls” in 2012 and was toured throughout Europe, UK and America in 2013.